How many of you remember the children’s rhyme about beans? You know the one that claims the more you eat the more you toot. Ha, Since those early days as a child living in a neighborhood in Northern California where we skipped down the street singing this tune, I’ve come to really appreciate the health benefits of beans….and how to cook them so you don’t toot quite so much. Heather Crosby of Yum Universe describes how to prepare legumes and why it is important to use the real deal whenever possible rather than from a can. I love the way she outlines yields and cooking time in this blog entry. Beyond this beans are just plain good for you and offer a very good source of protein and nutrients that is easily digested for most people. You don’t have to be a vegetarian to eat them either. My rule of thumb goes something likes this…replace red meat with red beans at least once weekly for optimal digestion of proteins. The American Heart Association agrees that beans are preferable to animal proteins for heart health. 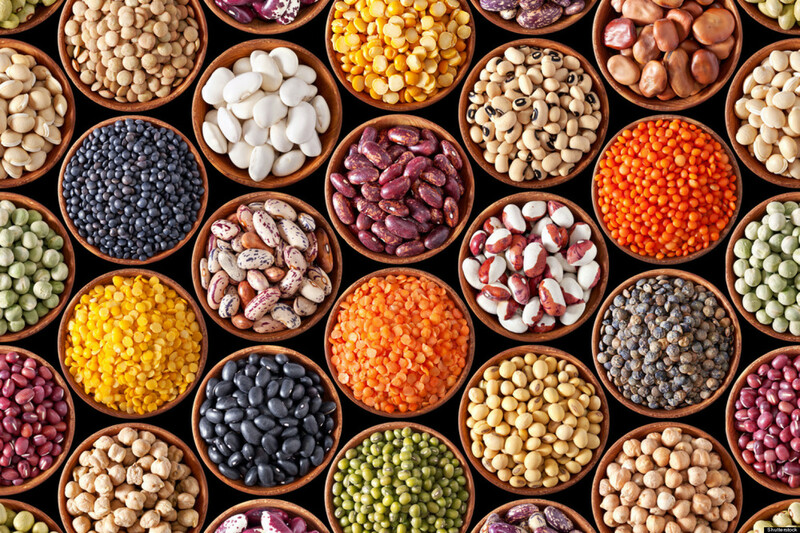 For some people who suffer from digestive issues such as IBS or Crohn’s Disease eating beans can be challenging but for most of us they are a welcome addition to our protein intake. There is a wonderful assortment of legumes available on the market today. You can find them in bulk at many small markets and even some of the larger scale grocery stores have added bulk bins so you can grab good quality, organic non-GMO dried beans. Beans and Legumes provide soluble fiber and are packed with nutrients such as iron, magnesium, potassium and zinc. They are a pretty versatile food that can be prepared in a wide range of dishes from around the world. I must say since I’ve replaced meat with beans and bean products such as tofu and tempeh my energy and weight have both markedly improved. I’m going to share a favorite snack I make with adzuki beans, a sweet bean originally from japan that is described by many foodies as a super food along with chickpeas, lentils and black beans all of which I eat regularly. This high energy snack is both delicious and nutritious! You can choose either shredded coconut, chopped pecans or chopped cashews. You’ll need about a cup of whichever one you choose. For the nuts, I recommend blending them in the food processor before you make the balls because then you don’t have to clean it out. 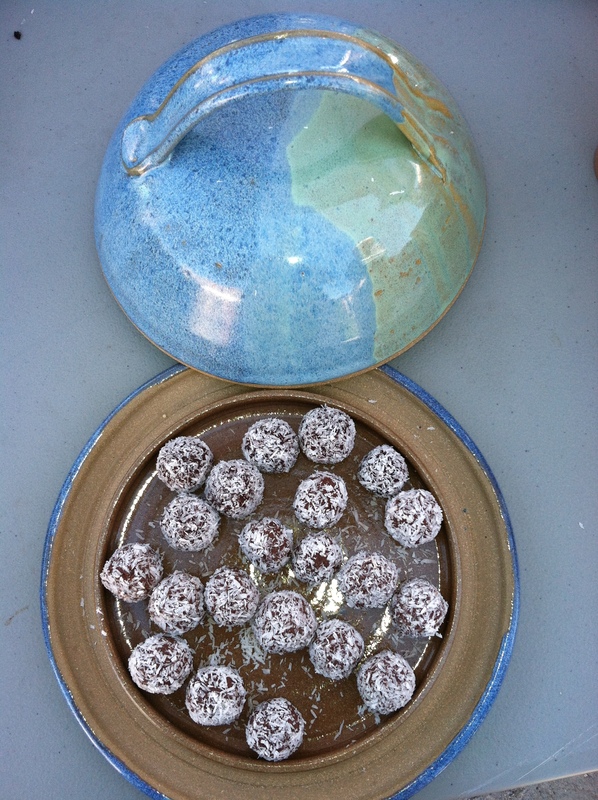 This entry was posted in Cooking for Health, Health Coaching, poetry, Whole foods cooking and tagged cooking with children, Health coach, healthy eating, healthy recipe, legumes, macrobiotic, nutrition education, poetry, recipes, vegan, vegetarian, Whole foods cooking. Bookmark the permalink.